Julie Moore, Community Outreach Manager, presents a check for $5,000 from Fremont Bank Foundation to Trinity Center. 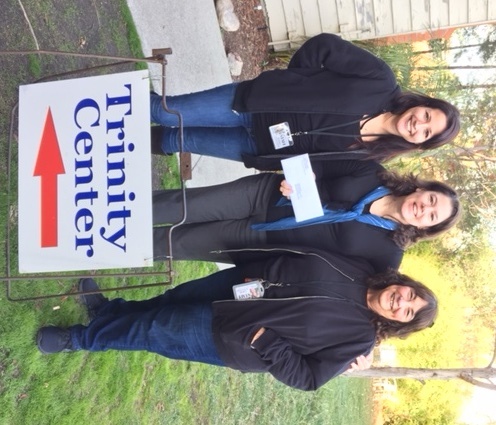 Trinity Center has received a generous donation of $5,000 from Fremont Bank Foundation to be used for our holiday programs, including our overnight shelter. Julie Moore, Community Outreach Manager for Fremont Bank, presented the check for $5,000 from Fremont Bank Foundation to Trinity Center. On behalf of Trinity Center and our staff and members, THANK YOU! Donations from community-minded organizations like the Fremont Bank Foundation allow us to provide vital services to our homeless neighbors.